Make your slider backgrounds 1240x600 pixels. 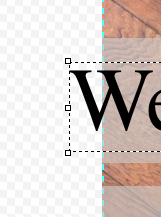 If you are working with photos, do make sure you're pasting them into a new document with these dimensions - so that the document is also 72dpi resolution (if for example you cropped a photo file it might stay 300dpi which makes massive file size). Revolution Slider isn't fantastic at dynamically scaling the contents of its slides for different screen resolutions - namely, if you use buttons anywhere, everything else resizes but the buttons remain massive on mobile devices. It manages to do this for most things - such as text and images - but not everything. However there are ways around of this - some of them are quite technical and others are more simple. 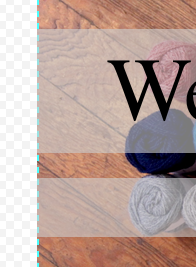 You can change things like layer size and font size to get things to fit. Now, the fun part is that every one of these needs to be tested on different devices because the previews (and this is generally the case within Wordpress) are pretty much never accurate. So try to check how your slider looks on a privately published page while or after working. This is why you don't tend to see complex elements like sliders on mobile devices - most people just disable them entirely because it's too much work. And when images are used, they are scaled down so small that they become unintelligible. But it's still possible to have this dynamic content on your mobile site with careful tweaking. Duplicating your sliders and making the necessary tweaks is a good way to make your sliders consistent. It's generalyl good design and usability practicve use the same fonts, similar sizes and buttons styles throughout the slides. The most important thing is to focus on legibility. We always say, "keep it simple" and "avoid unnecessary design elements" - with each thing you add, ask yourself, what is it doing? Give every element a job. 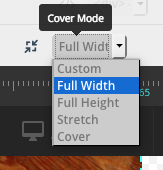 If you have any difficulty using your slider plugin, feel free to e-mail us and we'll do our best to help out.